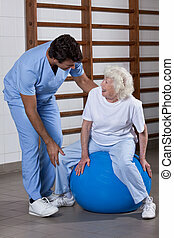 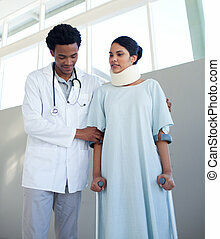 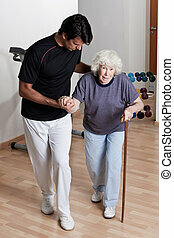 Physical therapist helping a patient. 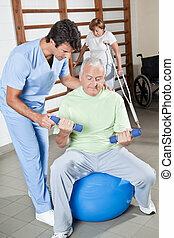 Male physical therapist helping a patient. 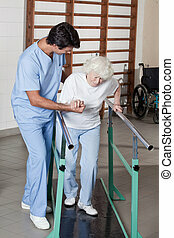 Male Physical therapist helping a patient. 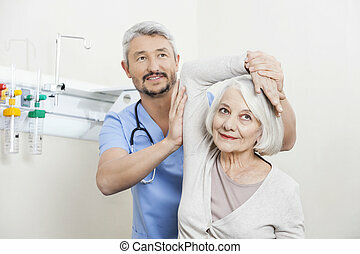 Physical therapist in a chiropractors office helping a patient to stretch his spine on a Roman Chair. 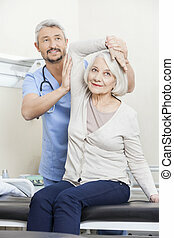 Physical therapist in a chiropractors office applies ice pack and electrical stiumlation to a patient. 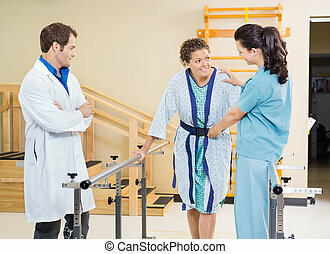 Therapist working with a patient. 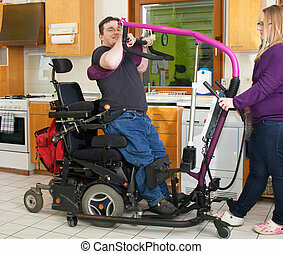 Therapist man helping woman to exercise with barbell. 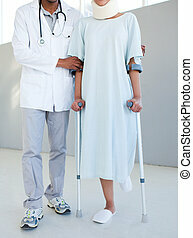 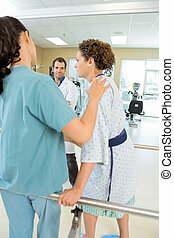 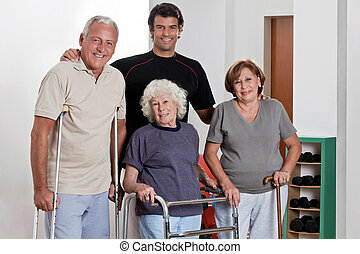 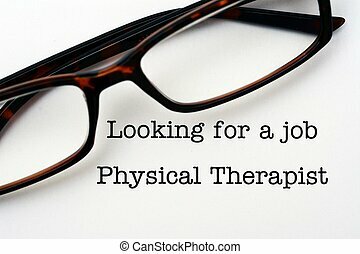 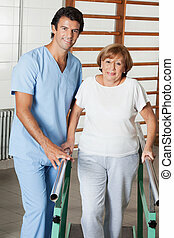 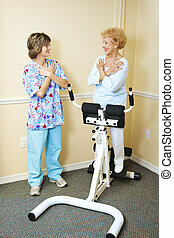 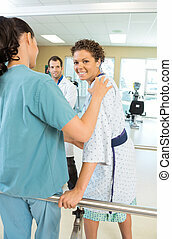 Happy Male Physical therapist with patient . 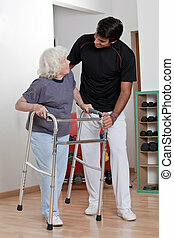 A doctor assisting a senior citizen . 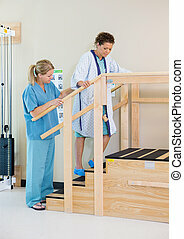 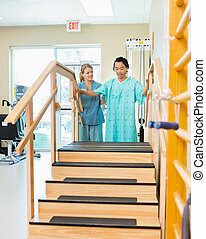 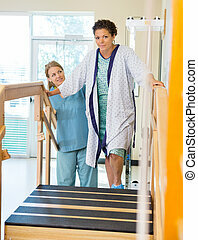 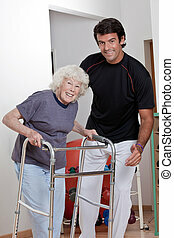 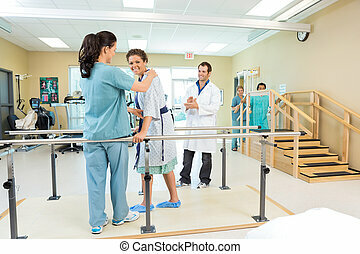 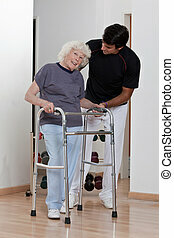 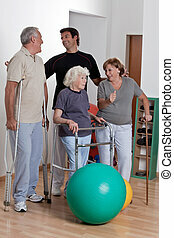 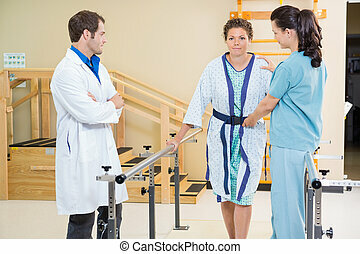 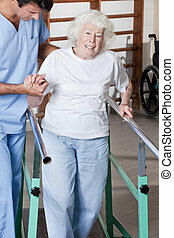 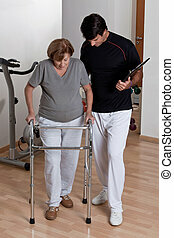 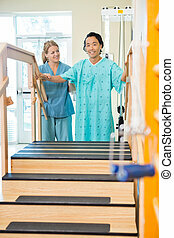 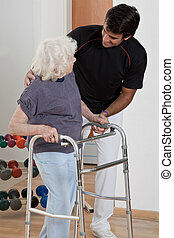 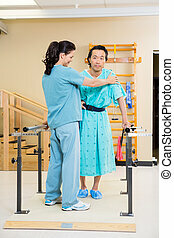 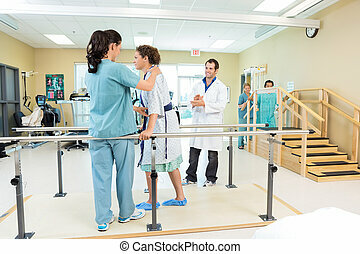 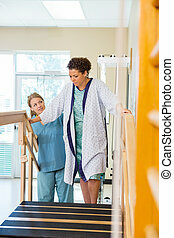 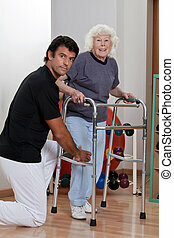 Therapist Helping Patient use Walker.